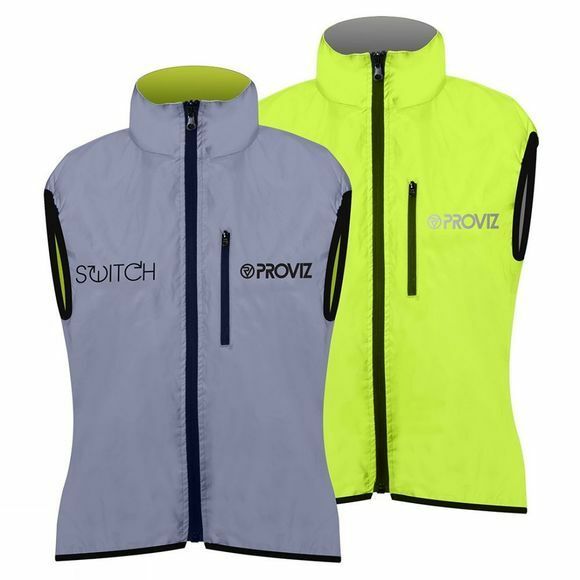 The Women’s Proviz Switch Gilet is a handy reversible high viz gilet featuring two high visibility colour options. During the day the fluorescent yellow material will make sure you stand out and can be clearly seen and by night the reflective material will light up in vehicle headlights - making it the ideal cycling gilet. The reflective material is certified to CE EN 20471 standard.